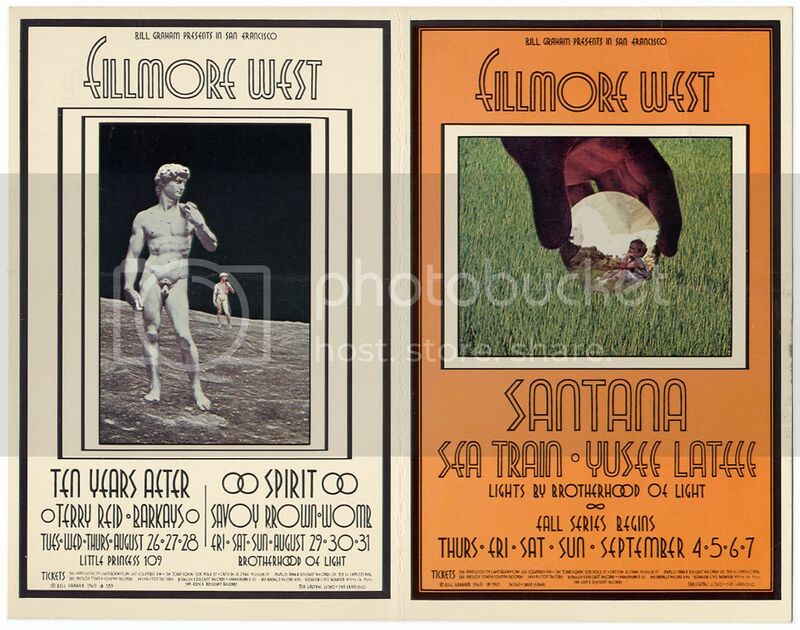 This is a rare and original BILL GRAHAM PRESENTS TEN YEARS AFTER & SANTANA Fillmore West Joined Handbill (BG189/190) from concerts at the FILLMORE WEST in San Francisco, Ca. Aug 26th – Sept. 7th, 1969. The left side design showcases the TEN YEARS AFTER show along with another show featuring SPIRIT and SAVOY BROWN. The right side announces the SANTANA show. The handbill is in nice shape with NO PINHOLES. There is one horizontal and one vertical fold along with a soft diagonal crease along the upper right edge. These are all hard to see with the naked eye. Measures 7 1/8″ x 9″. Categories: MUSIC, PAPER PRODUCTS, Handbills. Tags: collectibles, Spirit, Bill Graham Presents, Fillmore West, handbills, music, Pop Culture, postcards, Santana, Savoy Brown, Ten Years After. 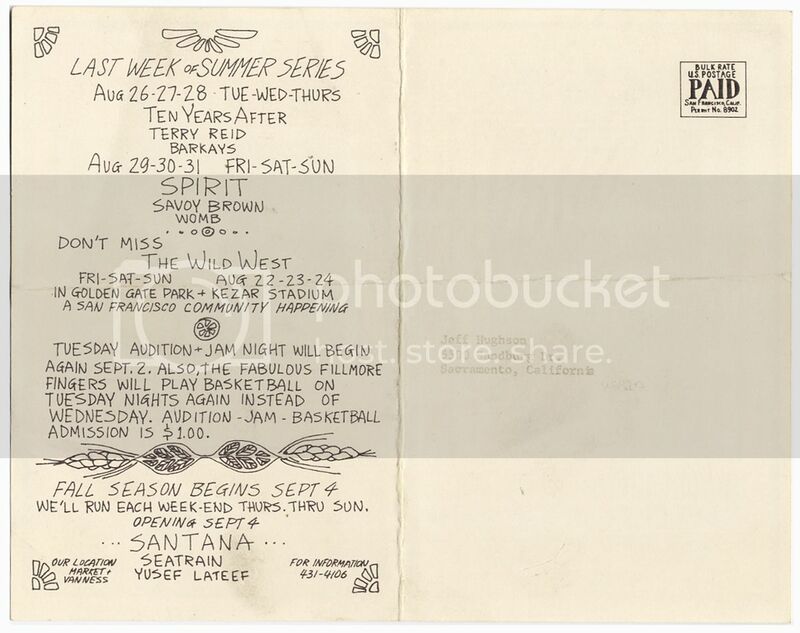 Be the first to review “Bill Graham Presents TEN YEARS AFTER & SANTANA FILLMORE WEST Joined Handbill (Aug 26th 1969) Rock Music” Click here to cancel reply.